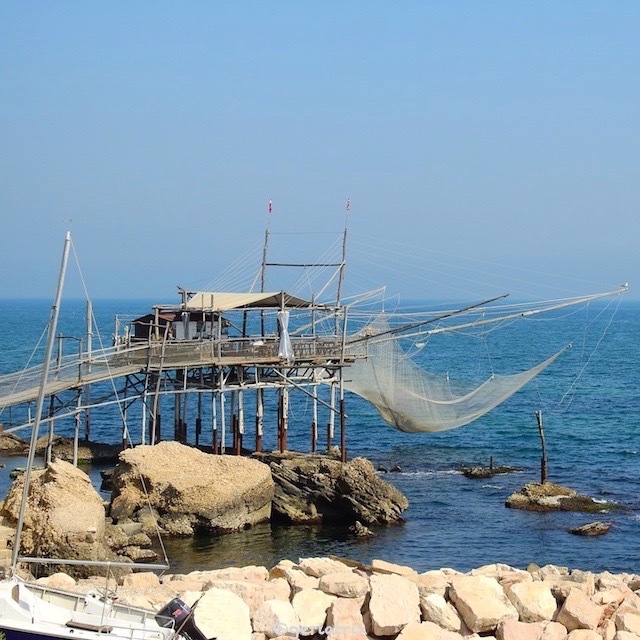 The trabucco is an old fishing machine typical of the Abbruzzi Region. Now that is some machine! We’d call it a Heath Robinson contraption. I don’t think we have a German word for it. I used the Italian version. Wasn’t the Heath Robinson book Jochen’s favourite when he was little? So ein Buch mit den Zeichnungen von ganz verrückten Maschinen. Ich schick dir mal ein Bild.